The Oilers announced today the hiring of Todd McLellan who most recently coached team Canada to the gold metal at the Mens World Hockey Championships and prior to that coached the San Jose Sharks for 7 seasons. The hiring does come at a price however as San Jose has the right and apparently is going to exercise that right to receive a 3rd draft pick from the Oilers as compensation. Even though San Jose fired McLellan at the end of the regular season he has one year left on his contract which gives the team the right to compensation. As far as I understand it the Oilers have the ability to wait up to 3 years to give up the pick. Honestly this rule makes little sense to me, if San Jose fired the coach they shouldn’t have any right to claim compensation if the coach signs with another team. They did lose to some really good teams and twice those teams went on to win the Stanley cup but in 62 games the Sharks had 30 wins and 32 loses. I would call the Sharks performance in the playoffs a disappointment under McLellan but it sure beats what the Oilers have been doing for the past 9 years. I’m really excited to see how the team performs under McLellan and if the World Championship tournament is any indication he’s sure to get a lot of production out of Hall and Eberle who were both among the tournament scoring leaders. How Much Longer Is This Gonna Take? The new faces in the Oilers front office clearly don’t want to give any timelines for the Oilers making the playoffs but it has to be a goal to at least be in the fight next season. 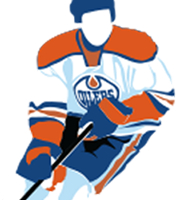 The team will be better by adding Connor McDavid at the draft and I think Todd McLellan is an upgrade behind the bench, its up to Peter Chiarelli to find the right Goalie and Defensemen to push this team in the right direction. This entry was posted in Uncategorized on May 19, 2015 by jtunnicliff. I have a few disarming issues with this NHL Draft: 1. Chris Pronger being “Sold” to the Coyotes. Not only Philadelphia Sports has the nerve to pull the Worst Trade in North American Pro Sports History, but, the Worst Single Act of Judgement in Americas Intercontinental Pro Sports History. 2. Mr. Connor McDavid can’t just hope for Gretzky, Lindros, Lemeuix, Messier and Orr for a Bailout. The Ice Oilers brass is very very much akin to Gomer Pyle backdooring his name as Mayor of Mayberry, North Carolina and he couldn’t get hisself together to stop Drunk Drivers, let alone shoplifters. 3. Oilers Hockey has only focused on the chefs and to add to the embarrassment, taking away Oklahoma City’ Barons on an AHL California Agenda where Golden State has 3 Options: San Jose, San Francisco, or No Club. This year in Pro Sports Drafting, and that’s 50 Years at least, has been skid row, and McDavid doesn’t have NCAA Hockey like Eichel and if Eichel left BU, that’s 29 Players , counting goalie line, but, usually, in real reality, its 27 Players and he’d be leaving the BU Taxpayers with the food and no good chefs. They will have to use the New Jersey method of payment, i.e., wait until it is demanded then see what happens. As soon as they mutually agreed to part ways and essentially void the contract, there should be absolutely no way San Jose should get any compensation whatsoever. They avoided having McLellan remaining on their books for another year, but they also get compensation? Stupidest rule I’ve ever heard of. Quite frankly its ludicrous.